Probably the most asked question by dog owners is “How to stop a dog from chewing”. The immediate response to this question does not solve anyone’s problems. This is because a dog owner must first identify the reason why his/her dog started chewing and since when has the puppy developed that habit. In case it is not a habit yet, any dog can be taught not to chew everything from the house anymore by following a few simple steps. If it is already a formed habit, then the owner requires patience and dedication in order to wean the dog from it. 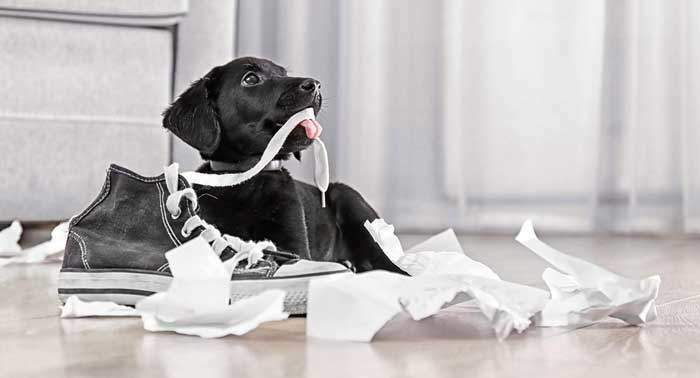 As you might think, there are several ways to stop a doggy from messing around with your shoes, furniture or any other object that this fantastic animal might find appealing. Identifying the cause that determines your dog to chew on different things is the first step you must take. There are multiple causes that range from teething to feeling lonely, bored, and anxious or, in rare cases, having a medical problem that must be taken care of immediately. 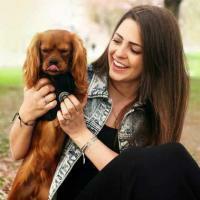 Observing your dog and knowing what to do in any situation that might occur is how you can be the best dog owner is there. A satisfied puppy will definitely have a satisfied owner. Sadly, these precious animals are not always to blame when they resort to such annoying actions like chewing on different objects that they find around the house, especially when they are teething or left alone at home. When there are changes in eating or other schedules. Also, a doggy might be afraid of something or have a medical issue if it starts chewing on things all of the sudden. In addition, if teething is not an issue, there are certain environmental changes that can affect a pup so much that it must relieve stress by chewing different stuff. A dog might have a hard time accepting a change produced in the family, in its daily routine or on the playground. Chewing is a habit that could indicate that your dog does not feel comfortable in his house anymore or that something that used to make it happy is no longer available. This is a sort of rebellious behavior coming from your pet. For example, some dogs chew on their leashes when they want to go for a walk earlier or more often than they used to go. These are the main reasons why a puppy chews random things and this is how to stop a puppy from chewing them. As soon as you identify the reason, you can apply the solution. Chewing is instinctual for dogs and they will never stop chewing. However, their owner can teach them what to chew instead of their personal belongings and how not to produce any further damage. A dog’s intentions are never bad in these cases. The animal is trying to send a message to its owner or to manifest its emotions that are generated by the actions of the owner, not the other way around. There is a period in any pup’s life that is troubling for its owner. 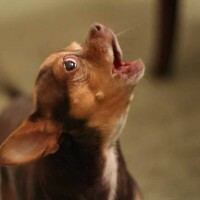 When their teeth grow, puppies are agitated, frustrated and they have the tendency to chew on anything, including their owners’ limbs, clothes and so on. Their gums are really sensitive and they feel intense pain. Somehow chewing makes the pain more bearable for them. There is no remedy for them during the two phases when their teeth grow, which happens between three and eight weeks, and then between three and ten months. Most puppies have 18 teeth until three months and end up with 21 after their teeth change. Their dentition development is similar to a human’s. All you can do in these two situations is to start buying toys that are specially created for them to chew on. Give your dog toys or beef bones to chew on when its teeth grow. Every dog has its preferences when it comes to the items they want to chew on or play with. However, if you choose a beef bone, you must be careful not to harm your pet. Some parts of it might break and your puppy might swallow them. They might get trapped in its esophagus or intestines, so watch it carefully or remove any pieces that it could swallow. Special toys for dogs made out of plastic or those shaped under the form of treats are much more recommendable. Try to choose toys that are suitable for their size; toys that can be chewed on, but not small enough to be swallowed. Also, avoid finding old objects from your house that you do not use anymore because your doggy cannot see the difference between two similar objects that are old or new. 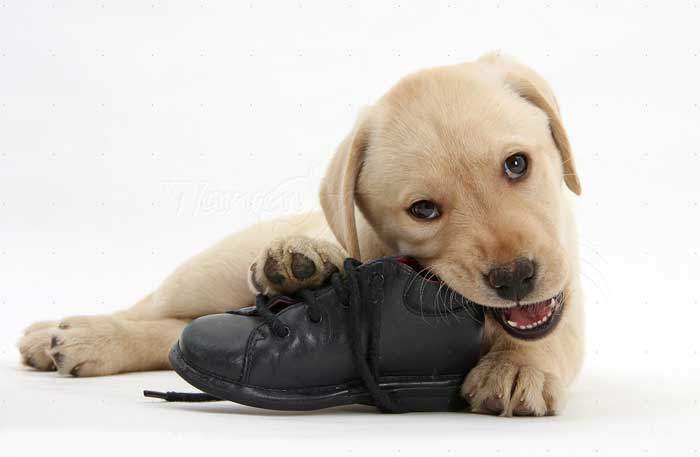 In case of shoes, for example, your pet does not know which pair is new and which pair is old, so once it knows that it can chew on shoes that have your smell on them, it will not stop or limit itself to just one old pair that you allow it to chew on. If your puppy is little, you can just hide your shoes or put them in a place when it cannot reach them until the pain goes away and so does its habit of chewing random objects or shoes in particular. Puppies can be the source of surprisingly more damage than any other pets. They can scratch wooden doors and furniture, walls, chew on precious objects and eventually destroy them. These types of damages are expensive and they can affect the relation between an owner and his/her dog. Chewing on things is a common manifestation in dogs that can be corrected. Thus, a dog owner can keep any object from his/her house intact if they know how to proceed in cases when their dog is bored. Trying to see things through your pup’s eyes is a solution. You can take measures in order to create favorable conditions for your pet not to chew on things. If you are watching it closely and spend enough time with it, it will not feel neglected anymore and your chances to educate it increase. Your pup is like a teenager who wants to see how much strength he/she has and, since it has nothing else better to do, it starts to do damage simply because it can and no one stops it. Keeping your dog occupied should be a priority for you. Toys are a great way to make sure your dog has something to occupy its time with when it has too much energy or nothing else better to do. You should buy a few toys that you think will entertain it. These should not be toys similar with the ones bought for teething. These should be fun toys and you should find a fun way to interact with your dog by playing with these toys. These toys can make your beloved pet forget about all the other objects it was not supposed to chew on before. In addition, if these toys make any kind of sound, they might seem even more appealing to this animal. You have a really large variety at your disposal in specialized stores, so there is no excuse for not purchasing them. If you’d like to see some of the top rated products on the market, check out the best entertaining dog toys. If you are a creative person and you feel like you can create toys for your pup, you must know that is not a recommended solution. Old socks or old items are not okay to be used as toys for a puppy because it cannot differentiate old items from new items. Any new socks will look like a toy for it. There are no exceptions to this rule unless you buy new items and put them together under the form of a toy for dogs, which have nothing similar to your personal stuff. An anxious dog is a dog that suffers from feelings or social isolation. Dogs are animals that interact best in groups, so many of them cannot handle spending too much time on their own. A group provides safety, so an anxious dog needs a safe and comfortable environment where it can be left alone or ignored in case its owner cannot play with it. A way to determine a dog to stay focused on just one toy is to rub that toy between your hands before giving it to it. This way, the pup will be attracted by your smell and not leave that toy unattended for a long period of time when you are busy or away. If you find your playful pet chewing on an object it is not supposed to chew on, you should recover that object from its mouth and replace it with one it can chew on. If it reacts positively and starts chewing on the right object, then you should reward it, praise it and maybe pet it too. In the same train of thoughts, you should teach your dog to ignore the objects it is not supposed to play with. You can do this by placing special toys and other objects on the floor and pretend to not watch your pup. When it chooses an object it is not supposed to chew on, you should say “no” in a firm manner and encourage it to pick another one. If you leave the room and find it playing with the wrong items again, you must repeat the procedure. If you keep this exercise constant, your doggy will know how to make the difference and always choose what it is supposed to choose. Do not ever punish your dog through physical violence. This will increase its anxiety levels and it will chew more than before. Moreover, hitting your pet is cruel, illegal and a gesture that anyone should avoid at all costs. A dog does not feel guilty. 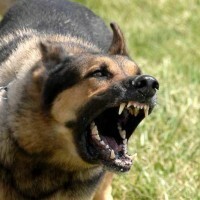 Although it might seem that it makes a guilty face, it is just your dog’s way to defend itself. 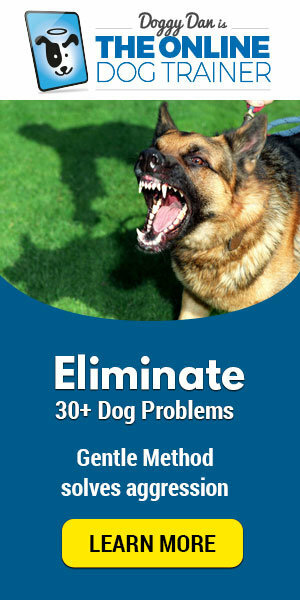 In addition, it is useless to punish your dog or to yell at it after it has done something wrong. It will not understand why you treat it that way and it will not learn what exactly it did wrong and it should not do anymore in the future. A dog will feel lonely if it is left alone for a long period of time in an environment that is not stimulating for it. Its feelings of loneliness become more acute when the pup is left alone on a daily basis for many hours in a row. In order to fix this problem, you must take certain steps. When you are ready to leave the house, you should leave enough toys for your animal friend to play with and not give it access to the entire home. You should not spend time saying goodbye, because you will make the situation much more emotional for your puppy than you should. It is enough to say something like “see you later” and then leave. Also, ignoring your pet five minutes before walking away and five minutes after your return will have an interesting effect. It will not associate the door and your shoes with you leaving the place and it will not feel sad waiting by the door because you are not paying attention to it anyway. In order to make the lonely hours bearable for your puppy, you can take other steps too. A tired dog will need rest, so you can ensure a level of physical activity that will require it to rest for a reasonable time after you walk away. Also, a dog with enough mental activity will not focus on chewing stuff, so teach it tricks, play with it and leave it relaxed when it is alone. Anyway, you think of it, there is no magical solution that can solve all your pup’s problems in five minutes. All the available methods take time and devotion from your side. To help your dog cope with loneliness when you’re not home, please take a look at our article on separation anxiety in dogs. Regardless of what your puppy is doing wrong, make sure that is not caused by a medical problem. You should take it to the vet and make sure it doesn’t have any condition that could endanger its health. There are certain nutritional deficiencies triggered by inappropriate feeding or by a parasite found in a dog’s intestines that can lead to something called the Pica syndrome, which is characterized by abnormal appetite. Therefore, your dog might be chewing on objects because it has a parasite in its intestine, not because it needs attention. There are also some gastrointestinal problems that can cause nausea, which in turn leads to chewing objects as a coping mechanism. In case you have an older dog that is chewing excessively all of the sudden, you must now that this type of behavior might be caused by gingivitis or painful gums. If it is a new habit, then you might want to check with the vet before you try any of the methods mentioned above. The vet should be the first person you visit when you notice something your dog starts doing without any particular, identifiable or obvious reason. Some dogs chew much more than others. This might be because it is their nature or because it is in their genetics. Some dog breeds are much more prone to chewing random objects than others. Breeds such as Labrador, Golden Retriever, Spaniels or Afghans were used for hunting. During the hunt, they had to catch the prey with their mouths and bring it back to their owners, so the habit of using their jaw a lot might come from there. Regardless of the actual reason, any dog should be helped to get rid of this nasty habit or at least to start chewing on special toys that were designed with this purpose in mind. Being upset or mad at a pup that damages stuff in one’s house is useless. This sweet animal has no discernment and it does not do anything wrong on purpose. Just as humans have their own reasons for acting in a certain way, pups have their own reasons for reacting in a way that we do not like. Finding out which are the reasons is our responsibility. When we cannot offer enough exercise or entertainment, they have to obtain it in their own ways.